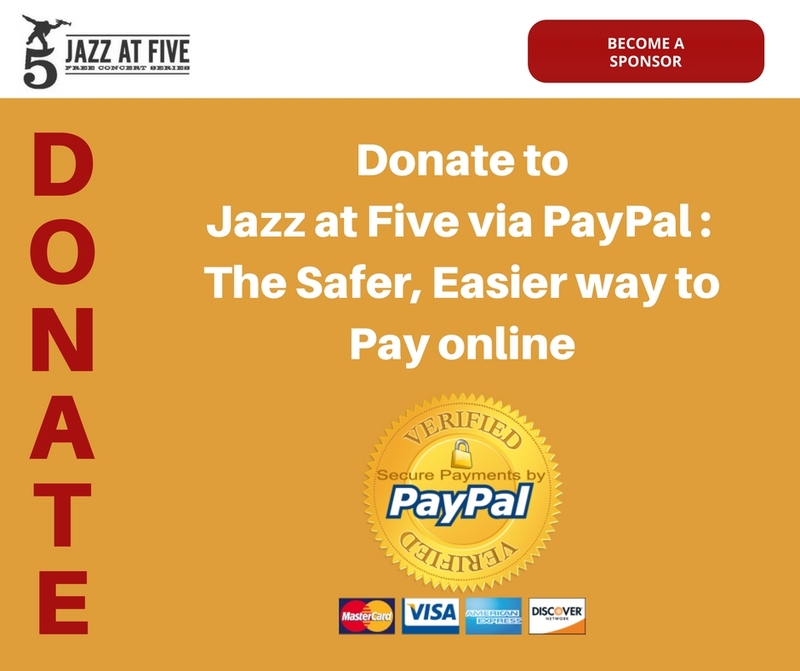 Jazz at Five is now accepting online donations via PayPal—the safer, easier way to pay online. Just click the button below to get started. Please note: A PayPal account is not required.